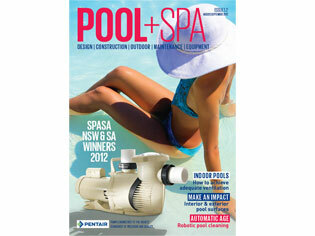 Pool+Spa, Australia’s original and most influential pool and spa industry magazine has a new editor, Rebecca Brennan. 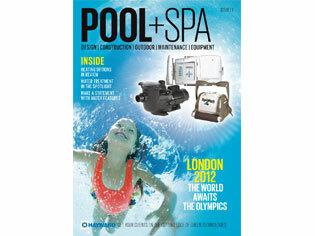 Pool+Spa, Australia’s original and most influential pool and spa industry magazine has a new editor. Rebecca Brennan dives headfirst into the publication’s 3rd issue, which is set to be released on October 21 2012. Her first issue will cover the first stages of the building of the Hornsby Aquatic Centre, development in pool filters, safely removing asbestos from pools and more. With a background of professional writing and media, Rebecca has contributed to a number of Fairfax community newspapers, produced for 2SER radio programs and coordinated numerous government publications. Universal Magazines is also the founder and publisher of Poolside and Poolside Showcase, which have been promoting Australian pool builders and manufacturers for 17 years. Pool+Spa was relaunched in June this year. Featuring a sleek redesign and a focus on insightful and topical feature articles, industry news, product reviews, case studies and business advice, Pool+Spa remains an informative resource for all professionals in the residential and commercial pool and spa industries. To learn more about Pool+Spa magazine, and how you can take advantage of our advertising opportunities, please contact: Rosemary Wood on 02 9887 0619 or Pilar Danlag (Victorian sales) on 03 9694 6403. Universal Magazines is Australia’s largest niche publisher. Universal’s 40 magazine titles include leaders in home, craft, bike and lifestyle categories, plus 12 niche web destinations. The company owns Westwick Farrow, the Australian Publishing Company and Universal Online Media. Universal Magazines is an independently owned private company.